You could say that I’m an expert in networking or you could say that I’ve made every mistake in the book. Both would be true. For more than 30 years I’ve been in every kind of networking situation you can imagine. Yes, I am an extrovert and I love to meet new people. However, I’ve realized that sometimes the introverts probably learned some of the finer points of networking before I figured them out. Regardless of which spectrum you fall under, sharpening your networking skills is an essential ingredient for success in your professional life. Whether you are looking to move up the corporate ladder in your current company, transition to a new career or find a job after college, having a solid network is important. If you apply the information I’m about to share, I truly believe you will be more successful and enjoy your networking experiences much more in the future. 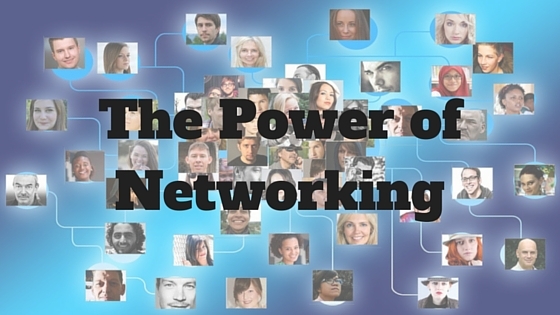 For the experienced networking professionals this may be something you immediately realize has worked for you. What I’ve learned in the process of networking was that I naturally tend to want to help people and although it may seem counterintuitive to just give, give and give some more, there is definitely a lot in it for you. Many years ago I was an advisor to small business start-ups. At any event that brought our clients together I would often introduce those who could help each other. It leads to some great collaboration and innovation. Later, as I attended a wide variety of networking events, I realized that I often helped a number of other business owners or leaders with no obvious benefit to me. Then “out of the blue” someone would call me or refer me and my business would benefit. The principle at work is called the law of reciprocity. When someone gives to us, we feel a need to give back. When we are open, kind and candid with others, they trust us and eventually, will want to give back. While I enjoy meeting new people and talking to a wide variety of individuals, I had to learn to focus my attention. I would often attend a Chamber of Commerce event and meet every person that came through the door, but then have no time for any in-depth conversation with certain people of interest. This can be great on a social level, as I have made some very precious friends at networking groups. However, if I went to an event with the intention of building my business, it wasn’t the most effective method and I realized I needed to focus on those whom I could help or who could help me. Then I needed to ask tactful questions or suggest that we have another meeting when the event was over. This leads me to the coffee dilemma. Many times a year I am invited to go for coffee with someone I meet in a networking situation. How do I fit all of these potentially wonderful conversations in with running a business and having a busy life? The answer turned out to be, I couldn’t do it. Sometimes I have a phone conversation and then decide to have coffee with someone. Sometimes I have to thank them for the offer and explain that I’m not available for months into the future. If you do meet with someone or agree to help someone, make it happen. As a person of integrity you need to do what you say you will do. We’ve all made promises that we realize were done too hastily and were not thought out, so be careful what you promise. Your word is important. Do you want to be associated with people you can’t count on? Neither does anyone else. Our time is all we really have because when we have no more time… well, you get the idea. So pick your venues for networking. I consistently get on LinkedIn and I attend a networking group for Succession Planning professionals, as this is one of the services I offer. There is value to meeting people face-to-face. On LinkedIn, I have a system that I teach to my clients to help them make their profiles stand out and then to connect with people who can help them reach their goals. Speaking on subjects that are relevant and interesting has lead to clients and projects. These are speaking engagements to groups that want to know more about subjects of value to them and are my areas of expertise. That ensures that I am enthusiastic and knowledgeable. It also increases my chances of being well received. Just as I want to spend my time wisely, I also want to encourage others to do the same. Wendy Eustace is a highly motivated, enthusiastic and dedicated professional with extensive experience in leadership, coaching, and facilitation. Wendy provides an interactive and energizing environment for positive change within groups, or one on one, through coaching. Based on years of real-world experience, her coaching and facilitation have been honed working with North America’s finest companies. Connect with Wendy through Noomii, her website or LinkedIn.